The duty of a squire was to serve under an experienced knight, training to one day fulfill this noble role. The Diligent Squire Long LARP Sword harkens back to days of fundamental training with its unassuming, yet elegant design. It has been hand-painted for a realistic appearance. A steel finish covers the blade, antique brass lines the cross-guard and pommel, and a medium wood grain appears on the grip. As such, the LARP sword may display slight, natural variations in its appearance. The hilt of this sword is cast in polyurethane foam, allowing for a fantastic level of detail, low maintenance resiliency, and a steadfast grip. 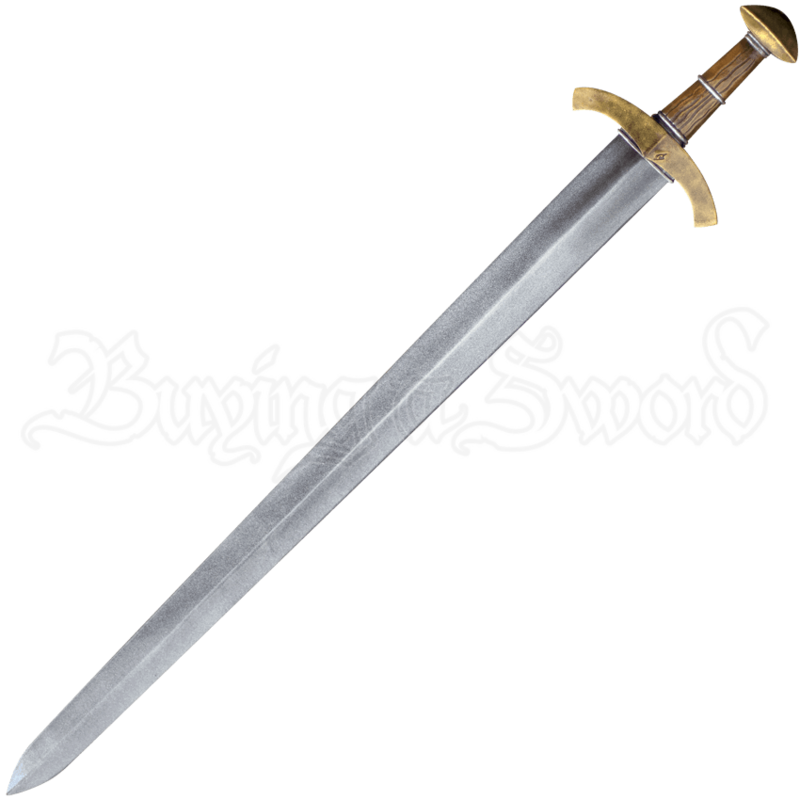 An essential in any historical or fantasy LARP arsenal, do not go without the Diligent Squire Long LARP Sword at your next event. This LARP sword is approximately 39.4 inches in overall length. This measurement will vary as each LARP sword is handmade. This LARP weapon is made from an extremely durable foam that does not shred and sealed with a strong coating of latex. Safety is always an important concern in LARP, which is why this weapon has a round, flexible fiberglass core with strong Kevlar core tip protection.